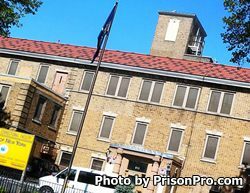 Edgecombe Residential Treatment Facility, sometimes called Edgecombe Correctional Facility, is located in New York County New York. It is a minimum security male residential treatment facility. The majority of inmates at this facility receive substance abuse treatment. Edgecombe Correctional Facility does not allow inmates to receive packages or books/magazines. The only item you can send to an inmate is money for their commissary account. Visits are Monday through Friday by group. Processing of visitors ends at 10:30am. Up to three visitors at a time may visit during one session. Offenders in the work release program do not have visits.